After 300 years of breathtaking innovation, people aren’t massively unemployed or indentured by machines. But to suggest how this could change, some economists have pointed to the defunct career of the second-most-important [Editors note: Animal] species in U.S. economic history: the horse. The whole article is quite long, but made for an interesting read. For further thoughts in this area, check out the Plant Money “Will Your Job Be Done By a Machine” calculator. 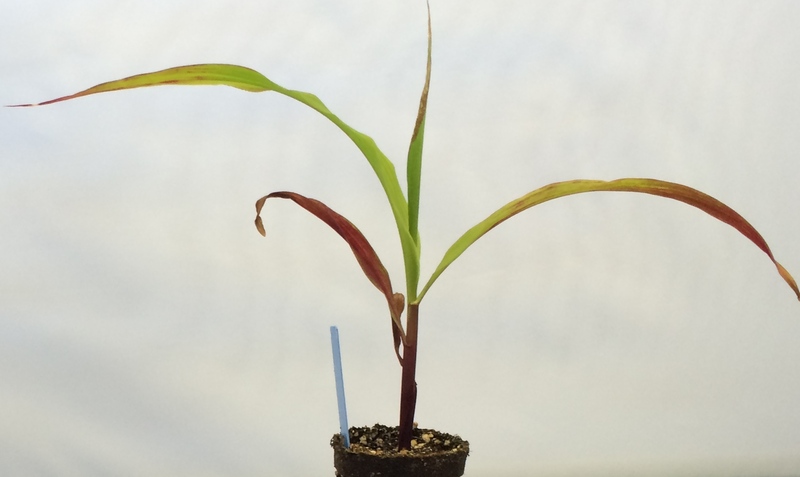 Plant biologists apparently aren’t common enough to be listed, but the odds for the biology-related fields* are low enough I’m not ready to run for the hills just yet … despite the fact that robots like this one are now being field tested in labs back in California. 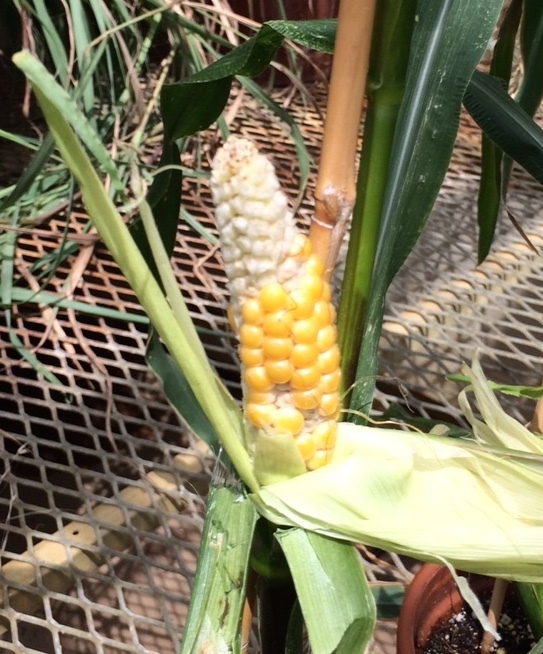 A few days later, that albino corn plant I was complaining about has matured a lot. One of the grad students has decided to transplant it and see how long it will manage to survive in the complete absence of photosynthesis. Answers to Name! That! Millet! Hidden below the “read more” tag. 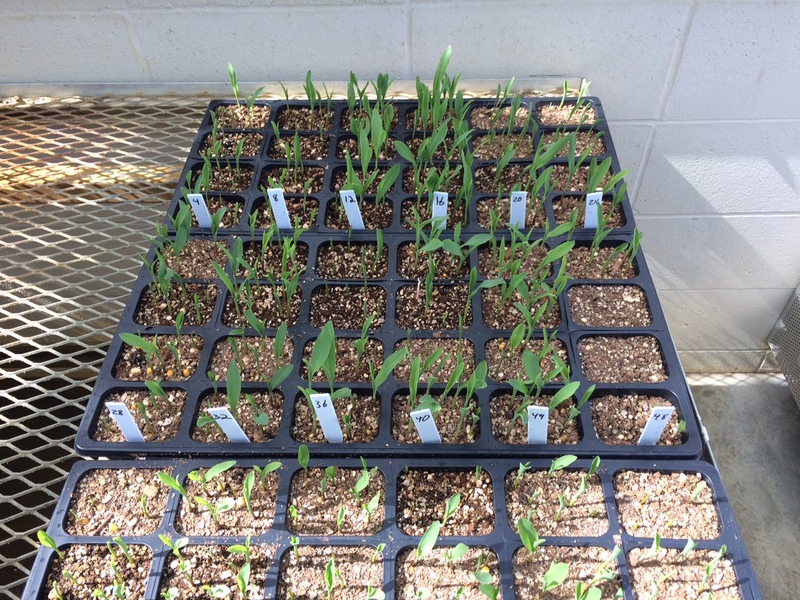 Through several recent interactions I’ve been reminded just how much of the information I take for granted about the state of genomic resources for different grass species, the relationships between different grass species and even the correspondence between common and scientific names is the product of my own meandering career path to date and doesn’t, by any stretch of the imagination, represent common knowledge, even among plant biologists. 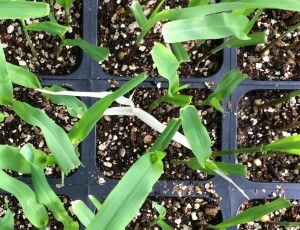 High and low quality genome assemblies are here defined as assembles with pseudomolecules (essentially chromosomes) that contain most of the core grass gene complement, and assemblies either without pseudomolecules, or where a large fraction of genes aren’t placed on the pseudomolecules yet. “We” in the legend above refers to a project from JGI’s Community Science Program (CSP). This is by no means a comprehensive treatment. There an estimated 11,000 grass species, the vast majority of which are known only from physical observation (not so much as a single fragment of their dna has ever been sequenced). However, if you’re interested in a more comprehensive treatment than my off the top of my head approach, go here and download “NPH_3972_sm_FigS1-S2.pdf” to see a tree of more than 500 total grass species, representing pretty much every single major group within the grasses. 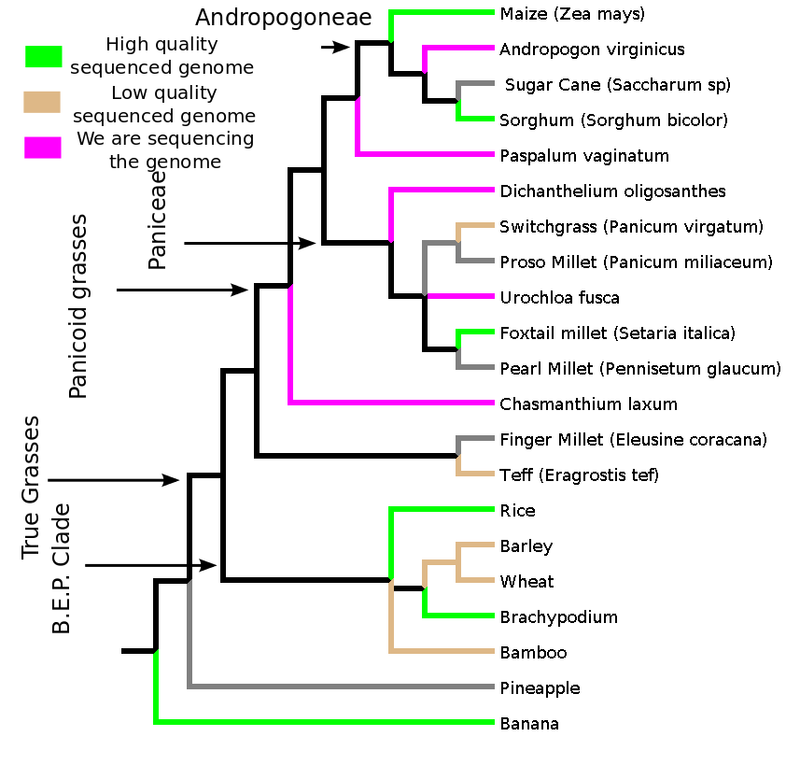 It’s my go to reference whenever I’m trying to discover the relationships between grass species I’m not familiar with and as far as I know it’s still THE reference work to which all other grass phylogenetics papers are compared (but feel free to let me know in the comments if you know of a newer paper that includes even more species). 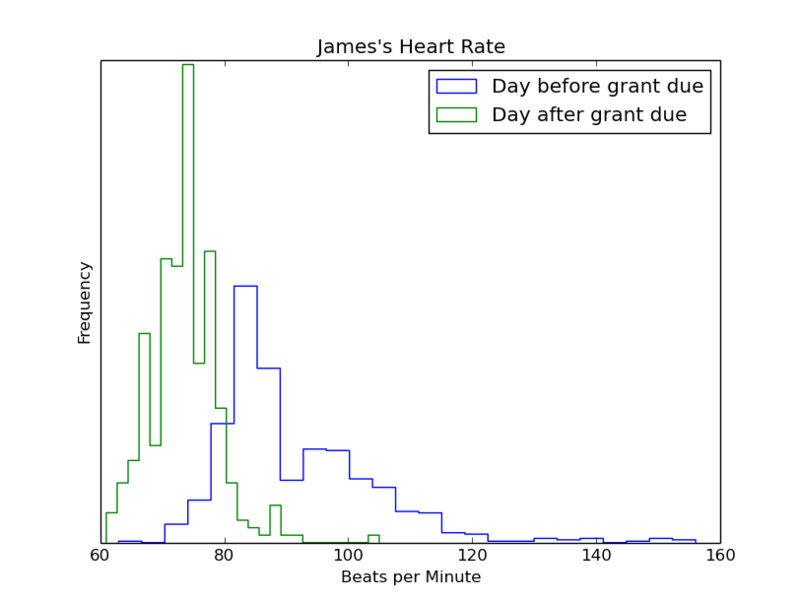 Here we report a longer term study on the effects of academic stress: a comparison of heart rate (beats per minute (BPM)) on an academically stressed day (ie the day prior to the deadline for submitting an major grant to the National Science Foundation) and a control day (the day immediately following submission of said grant). Heat rate was quantified using a Basis Peak watch. Timepoints where the Basis Peak watch concluded the subject was “asleep” were excluded. Potential confounding variable: My first graduate student arrived on campus the same day as the “day before grant due” dataset was collected.